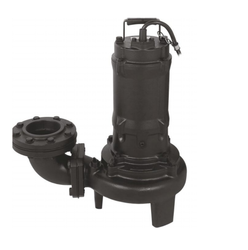 Pioneers in the industry, we offer submersible dewatering pumps and sewage pumps from India. Being one of the most reliable and trusted companies in this line of work since past several years, we have also brought forth to our clients one of the most exclusive and finest qualities Submersible Dewatering Pumps. These submersible dewatering pumps are used for the purpose of pumping out the water from any place of containment and hence are very much useful and helpful in a wide range of industrial activities. These submersible dewatering pumps are available for our clients at a very attractive range of prices. 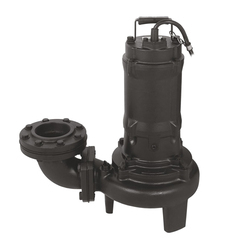 We provide Sewage Pumps to our clients. Drainage of sewage from the building basements, hotel industry, wastewater from factories. Drainage of sewage from industrial process factories. Emptying fo septic tanks, cesspits, and sewage pump stations. Pumping surface and drainage water from garages and sprinkler systems. Dewatering for fish pond or basement. New design for lightweight, elegant shape with the best quality. Unfastening the bolts between the oil casing and the upper pump casing allows the body to be separated for easy maintenance. All pumps are furnished with double mechanical seal. All pumps up to 0.75 kW have carbon/ceramic sealing faces at both water end and motor end. All pumps starting with 1.5 kW and above have Sic sealing faces at the water end and carbon/ceramic sealing faces at the motor end. Available with Sic/Sic Mechanical Shaft seal for pumping sandy water for 0.75 kW (optional).